Many thanks to these fine musicians and friends at the loops: Aleonz, Cody Tripp, Fishinmissio, GlezBass, Haddock, Heliandros, Jamlady, Javisax, Jaymny, JMB65, JohnKou, Johnv, KellsBells, Lenny Cowler, Marmotte, Martyman, Milachica, OliVBee, Piper, Shi, Tofzegrit, Titi, Uloisius and Ziharmo. Is this how heaven sounds like? or from fairy tale place?? I never been there, but the beauty of Marc's music always give a peaceful feeling that can calm the storm, a cool breeze in the hot sunny day, and warm to the a rainy days, always amazing how his music fly into my ears, and goes straight to the heart and strike the soul. The music that can stop a moment for while, and take your mind to one beautiful place somewhere in the other horizon, where there is nothing but the beauty....I'm so thankful to found Marc's music, and dare myself to song in some of his masterpiece. Thank you for your music Marc! A great review of your talent my friend! Honored to be involved with such a talented musician/composer :) as well as the friends from Wikiloops. 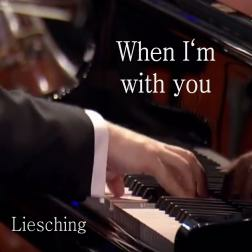 Liesching has the talent to inspire all the musicians who work with him. What a wonderful gift. Heute während meines Morgenspazierganges mit den Hunden habe ich mir das komplette Album in Ruhe angehört. Was für schöne Musik Marc! Es freut mich sehr das ich sogar mit dabei sein darf hier, auf deinem Album.